Steritech, one of the most prominent and trusted contract sterilisation and decontamination processors in Asia-Pacific, contacted us for some much needed updates to their web services. 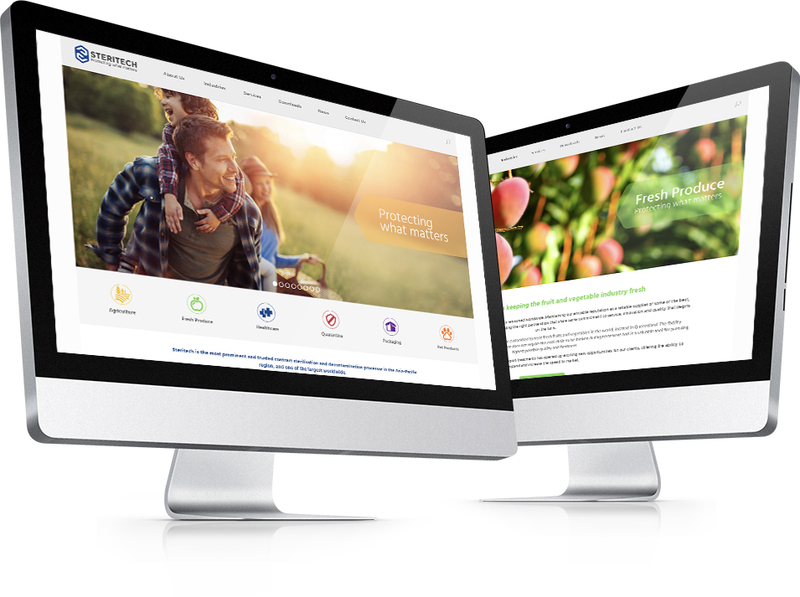 As a family-owned business whose main concern is the success and wellbeing of their clients, it was sad to hear they were struggling with providing a web platform that catered to the diverse number of market segments they cater to and also in making it easy for them to clearly understand the Steritech brand and their position. Steritech was beginning to feel the increased pressure of their website being limited to what devices it could be used on and that the overall customer experience their current website offered was not intuitive enough. We decided quickly that with Steritech’s new website design needed to make clear their position so we added in their new logo and tagline “Protecting What Matters”. This tagline became the basis for a remodeled user journey, streamlined using new categories and menus for their market segments. 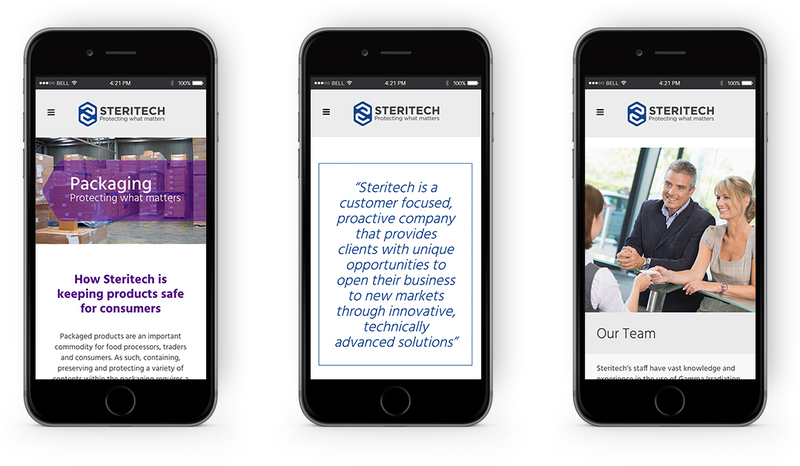 After we updated the content and imagery to that more in line with Steritech’s value proposition we worked on improving the responsiveness of the website and brought it well into the 21st century, catering to a multi-device world. All in all we were able to produce a modernised website that not only effectively translated who they are and what they do but also new avenues for Steritech to communicate their brand with current and prospective clients. Since the implementation of the website, we saw an increase in average page views with the website now boasting a combined page view count of over 3000 views per month! We’ve increased customer engagement and effectively directed users to the top performing pages which are the Homepage, Services Pages and the lead generating Contact Page. It’s was also fantastic to see an increase in visitors coming in directly and from referral searches to the website.